If your child is about to start school you might be feeling nervous about how it’s going to go – especially the morning routine of getting them dressed and out the door on time without having to yell a thousand times. Luckily there’s help in the form of a kit called School’s Coming and every parent could use one. When Genevieve Matthews’ son Henry started school they both found the transition quite difficult compared to the childcare routine with mornings now rushed, chaotic and full of raised voices. The working mum of two soon realised that something had to change and so she created a poster full of all the things her and Henry both needed to remember each morning. Responding quickly to the new system, it wasn’t long before getting off to school became more efficient and calm, with everyone starting the day happy and on time. Soon friends were asking for tips, prompting Genevieve and Henry to create the School’s Coming kit for any parent looking for a less hectic start to the day. She also created a similar pack for her daughter Lucy, which also worked a treat in the lead up to her starting school. School’s Coming is designed to support, encourage and help children understand the morning routine requirements and what’s important. By letting children be directly involved in creating their own personal routine, it helps create a level of independence whilst also creating less stress and more efficiency for parents in the morning. School’s Coming is also particularly useful for children who may be anxious about starting school for the first time, helping them get excited and prepared before the big day. Although these packs are mainly designed for younger children who’ve never been to school before, School’s Coming also works wonders with older primary school aged children – particularly if it’s been a struggle to get them off to school in the first year or two. You simply adjust their routine as they grow. No more morning mayhem! And you don’t have to wait until they’re about to start school either, you can start the School’s Coming routine when kids are in preschool. 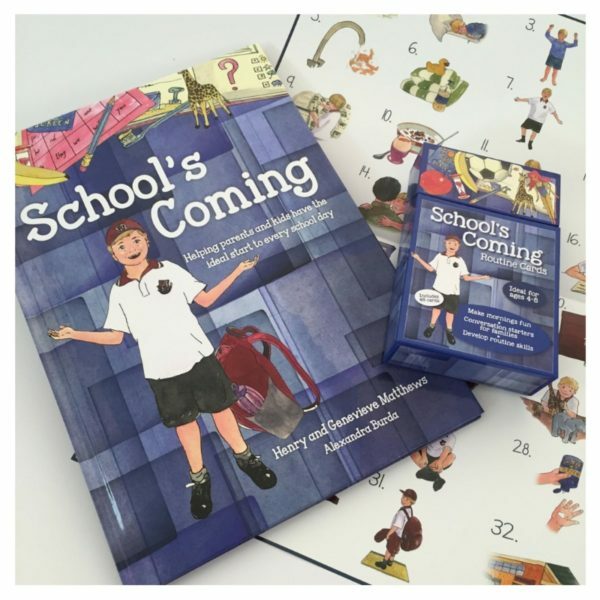 The School’s Coming pack is available to buy online Australia-wide in single boy or girl kits for $99, or a double pack (either same gender or combination) for $175. There’s also an option to bulk buy for childcare centres, schools or other businesses. 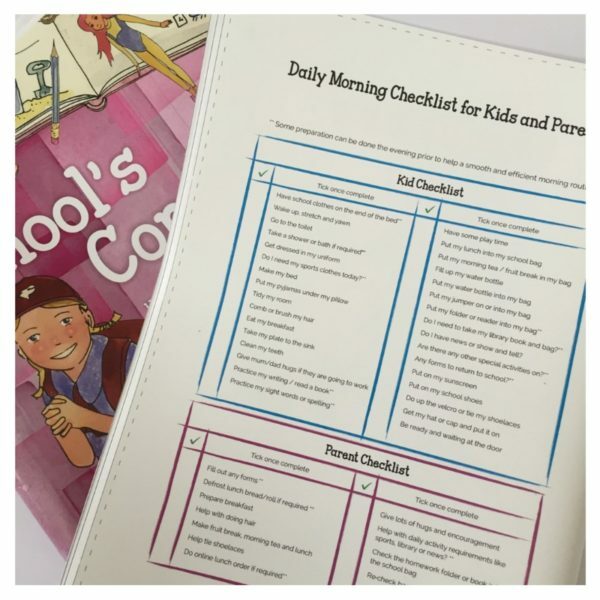 Are you worried about the school morning routine in your house this year?